2017 has been one of the best years in memory with regard to the many different options out there for Android smartphone buyers. 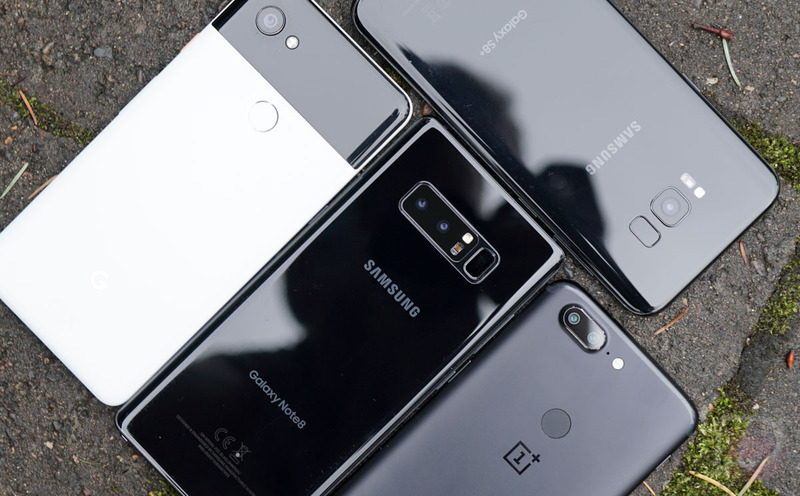 In fact, the competition was so good that we had to publicly address it in a post where we admit that we didn’t know which phone you should buy. It seemed that each major OEM had a winner, and from a consumer standpoint, it doesn’t get much better than that. Google brought the heat with the Pixel 2/Pixel 2 XL lineup, Samsung continued its trend of hardware amazingness, and LG seriously upped its game in 2017 with the G6 and truly great V30. Honestly, folks, I don’t know if we’ll have another year like this in smartphones, so let’s take a moment to reflect on the fun we’ve had. While we wish we could give awards to every phone we enjoyed, let’s cut to the chase and name our Favorite Android Phone of 2017! The original Pixel and Pixel XL were runner ups in 2016, but this year, Google improved upon the Pixel lineup enough to earn them the highest honors. 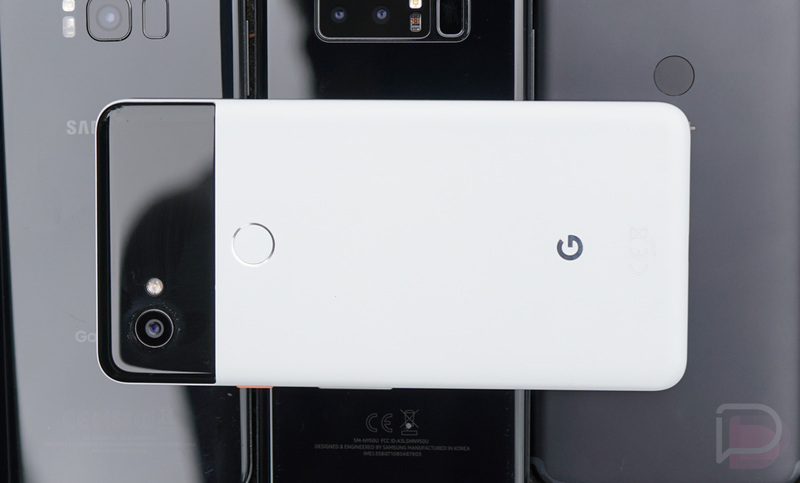 While the Pixel 2 is also a very good phone, we’re giving Phone of the Year (POTY) to the Pixel 2 XL specifically, with its larger battery, larger QHD display, and lovely industrial design. When asked why I enjoy using the Pixel 2 XL so much, it’s pretty easy for me to sum up the experience. The 2 XL offers one of the best mobile photography experiences available, capable of delivering shots with a single sensor that some phones can’t provide with two, software so uncluttered yet feature rich that you never feel as if you’re missing out on something, plus timely updates and the possibility to test the latest versions of Android and the features they bring before any other device. Overblown display drama aside, as an Android lover, you just can’t ask for much else. What helped push the Pixel 2 XL into POTY territory is a few changes that I should highlight, because they do add to the overall positive ownership experience. If you didn’t check out our written review, Google improved the device’s water resistance to a rating of IP67 and also gave us dual front-facing speakers that get quite loud. Recalling our original Pixel and Pixel XL review, both of those things were addressed as something we’d like to have, so the company delivered on each negative thing we had to say last year. What can we say, we’re suckers for the Pixel. Samsung gave us three solid devices this year, the Galaxy S8, S8+, and Note 8. When choosing which to highlight, the S8+ seems to combine the best of the S8 and Note 8 into a single package. You’re getting Samsung’s latest iteration of its software, larger battery and display over the standard S8, but the phone also proves to be rather easily handled in most cases thanks to its excellent design, unlike the Note 8. In our review of the Galaxy S8+, we loved its 6.2″ Infinity display, better-than-average battery life, superb camera, Samsung’s non ditching of the headphone jack, and of course, Samsung Pay (it’s still the best mobile payment service). While Samsung’s hardware is already top notch, Samsung has also been working on its software in 2017 and as someone who has been using Samsung devices for years, the improvements are very noticeable. Where there used to be serious lag and jank, things are getting quite smooth and multitasking is rather pleasant. We hope Samsung continues this trend because software is such an important aspect of the overall experience. Honestly, we’re pretty excited for 2018’s Galaxy S9 and we think you should be, too. Trying to round out this post wasn’t so easy, so we had to give this position to two devices, the OnePlus 5T and Galaxy Note 8. Both devices earned high honors, but for different reasons. Let’s go over the OnePlus 5T first. 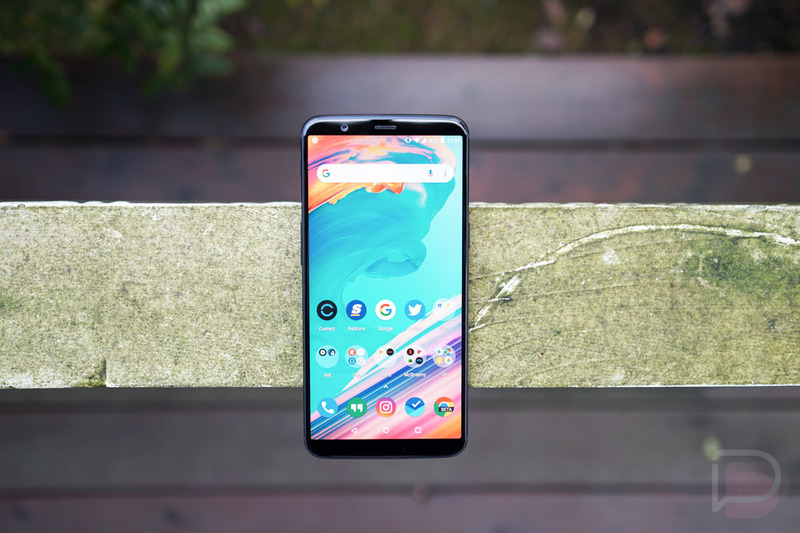 The latest offering from OnePlus brings a much-enjoyed hardware redesign, with very minimal bezel and the fingerprint reader moved to the backside of the phone. On top of a sweet look, the phone’s software is still just as good as you’d expect, featuring many customization options and good performance. On top of that, the battery life was very noteworthy, the dual camera setup on the backside is solid, and OnePlus’ pricing structure is still something you can’t argue against. It’s a great phone for any Android buyer. As for the Galaxy Note 8, what a nice phone (written review here). After last year’s recall fiasco, we’re happy to report that no issues have been reported with the Note 8, already making this a major improvement for the Note series. Samsung included the Infinity display design, a very good dual camera setup on the back, as well as battery life that went above and beyond for me during the review process. If you were looking for a negative, it’d have to be the price. At over $900, the Note 8 isn’t exactly accessible by everyone, making it a phone best left to only those who will really get usage out of everything it offers — S Pen, water resistance, dual cameras, and everything else that adds up to such a steep price. Here’s our OnePlus 5T video review in case you missed it. Razer Phone – For Razer’s first attempt at a flagship Android smartphone, the Razer Phone is pretty slick (review here). While the battery life is great and software is good, what gets the Razer Phone an honorable mention is its display tech. Unlike any other device, Razer provided a panel capable of a 120Hz refresh rate, which you can actually see in action when compared to any other phone with 60Hz (basically all other Android phones). There’s something about scrolling through the phone’s UI or playing a game that supports the upped refresh rate that is extremely satisfying. Fingers crossed we see more of this from other device makers in the future. LG V30 – Considering the terrible offering LG provided in 2016 (*cough G5 cough*), the company sought serious redemption this year. In the first half of the year, we got the G6, which was a fantastic step forward from the G5 and its take on modularity, but then in the second half the company launched the V30. What a crazy improvement over anything else LG has ever released (review here). The phone sports a gorgeous industrial design, great camera, software that doesn’t want me to hammer my head in, and good battery life. If it wasn’t for such stiff competition this year, LG could have easily pulled off a top 3 spot this year. Think we made a mistake? It wouldn’t be the first time. What’s your vote for 2017 Phone of the Year?